Get started with us now so you can get healthier, improve your way of living and enjoy life better. At Wee Chicks, we believe that you and your children deserves the best in every aspect of care and service. 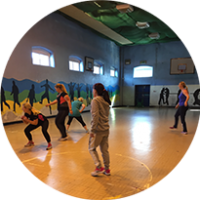 We provide schools, community groups and organisations with 6-8 week exercise sessions with our mobile gym. We can also provide a mobile creche with this facility. Also available privately for small groups of 5 or more. 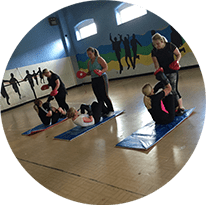 Our aim is to give you the chance to keep fit and stay active. As well as staying in shape, we also provide support hints & tips to help keep our minds healthy & strong. We even provide hints & tips on nutrition to assist with your healthy eating making life changes rather than just a diet. Here at Wee Chicks you can enjoy our programs you and your family deserve to keep you in shape physically and mentally by improve your overall quality of life. 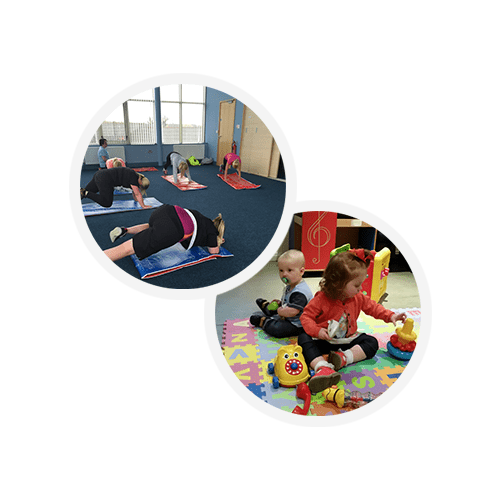 Wee Chicks offers an innovative childcare service focusing not just on caring for your children, but improving their fitness, nutrition, health and well-being. At Wee Chicks, we believe that your child deserves the best in every aspect of care. 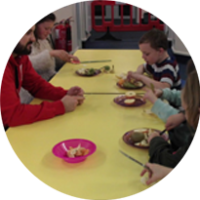 “We are different to other child care providers as we promote the fitness, health and well-being providing our children and parents with basic life skills and building on knowledge to enable them to make healthy choices now and in their future about food choices, fitness and well-being. Our children are the future and they matter most. We provide knowledge where families can make small changes to help them be a happier healthy family”. 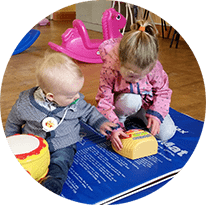 Our mobile crèche facilities allows your children to be able to learn and play while building vital communication and social skills in a fun-filled atmosphere from the age of 6 weeks. We offer Fitness programs with mobile creche if required. We offer 6-8 week programs for children and adults in exercise, mindfulness and well-being. Confidence building exercise programs. 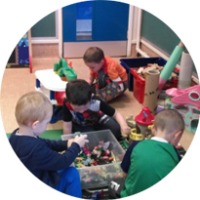 If you have young children get active whilst our creche looks after your child. Giving you some much needed ME time. For further details if you are interested in running one of our programs click on the contact us button. We can help by providing qualified and caring staff to be able to look after children whilst you’re Clients enjoy the services you provide. 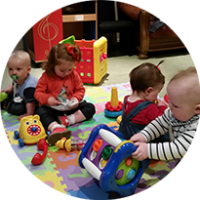 We offer a mobile crèche facility for short periods of time, one off events or for short term courses course. Suitable for community groups or private hire. 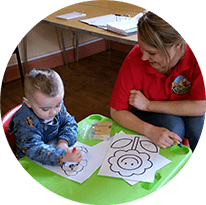 Our child care in schools will give your children the chance to have fun, make new friends and develop important life skills that will become essential for them as they grow up, covering the topics of fitness, healthy food choices & well-being and mindfulness. Taking the approach of following the lead of the children. We provide an after-school program so that your children can enjoy such activities as developing their fundamentals in sport age 5 & above. Well-being and mindfulness program to help them build their resilience for their life ahead age 8 & above. Healthy Choices program giving them the basic understand of making healthy choices with food and healthy cooking age 5 & above. Stuck for something for your children to do whilst they are off on school holidays? Our specially designed program that introduces younger children to sport and activities in a fun and relaxed, learning environment. 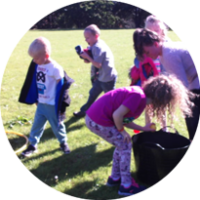 Exciting and innovative games and activities are used to capture the imagination and encourage creativity, movement and decision-making and help to build our children’s resilience. Most importantly having fun. Before I started, wee chicks I was living in a vicious circle I knew I was overweight and wanted to do something about it but was afraid to weigh myself so the easier option was to avoid it, I heard about wee chicks, crèche for the kids, I pushed myself to go and from then I haven’t looked back, I’ve lost a stone and a half, Kelly is fantastic at pushing you, so now I hate to miss out on a class, i now love getting weighed and measured every 3 weeks to see the results and listening to the nutritional advice, it’s part of my routine and my son absolutely loves getting to play in the crèche which is also good for him. It’s given me confidence back I never thought I would have I would recommend this class to everyone. *The classes are for all levels of fitness. Medical form required before you participate in the class. If you have any medical conditions you may need a letter from your Doctor if you have any queries please contact us using the contact us form. Would you like our services in your area?